Monroe and Barbara Schlactus dedicated their lives to building bridges across divides of faith, race and culture. From 1962 to 1965, working in Atlanta’s ADL offices, Monroe assisted Dr. Martin Luther King, Jr. during the height of his civil-rights campaign in Birmingham, Alabama. Monroe also lectured and taught extensively in human relations and civil rights at more than forty colleges throughout the US. Barbara Schlactus took and created leadership roles in organizations such as the American Association of University Women, National Council of Jewish Women, B’nai B’rith Women, Hadassah and ORT. Minnesota governors Orville Freeman and Wendell Anderson cited her for volunteer activities and she also received the B’nai B’rith National Gold Key Award. 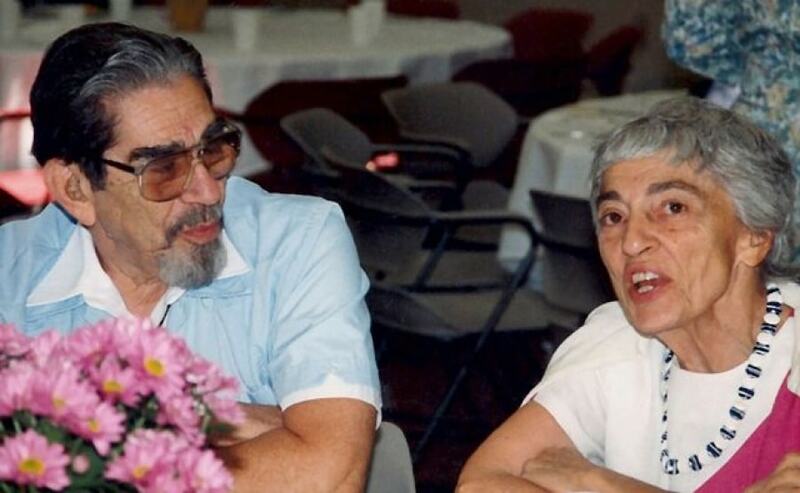 After retiring, Barbara and Monroe Schlactus relocated to Albuquerque, New Mexico, actively participating as co-authors of Albuquerque Interfaith, and the Jewish-Catholic Dialogue of New Mexico. Gimilus Chassidim: Deeds of mercy and lovingkindness. Annual $1500 fellowship stipend specifically funds projects that demonstrate a deep commitment to human and civil rights, religious equality, inclusiveness and tolerance. The Gimilus Chassidim Fellowship honors the cross-community bridge-building lives and work of Monroe and Barbara Schlactus. Projects emphasize intersections and cross-denominational interfaith dialogue in enduring, evolving religious and human rights from a deep well of faith, directly speaking as echoed in the prophet Micah, (You mortals, the LORD has told you what is good. This is what the LORD requires from you: to do what is right, to love mercy, and to walk humbly with your God. MIC 6:8) to construction and participation in vital communities engaged in authentically living Abrahamic faith. Such communities may include or encompass work in pastoral care, worship settings, and active fellowships in the arts and humanities.